San Francisco in the 1970s. Free love has given way to radical feminism, psychedelic ecstasy to hard-edged gloom. The Zodiac Killer stalks the streets. A disgraced professor takes an office in a downtown tower to plot his return. But the walls are thin and he's distracted by voices from next door - his neighbor is a psychologist, and one of her patients dislikes the hum of the white-noise machine. And so he begins to hear about the patient's troubles with her female lover, her conflicts with her adoptive, avowedly WASP family, and her quest to track down her birth mother. The professor is not just absorbed but enraptured. And the further he is pulled into the patient's recounting of her dramas - and the most profound questions of her own identity - the more he needs the story to move forward. The patient's questions about her birth family have led her to a Catholic charity that trafficked freshly baptized orphans out of Germany after World War II. But confronted with this new self - "I have no idea what it means to say 'I'm a Jew'" - the patient finds her search stalled. Armed with the few details he's gleaned, the professor takes up the quest and quickly finds the patient's mother in records from a German displaced-persons camp. But he can't let on that he's been eavesdropping, so he mocks up a reply from an adoption agency the patient has contacted and drops it in the mail. Through the wall, he hears how his dear patient is energized by the news, and so is he. He unearths more clues and invests more and more in this secret, fraught, triangular relationship: himself, the patient, and her therapist, who is herself German. His research leads them deep into the history of displaced-persons camps, of postwar Zionism, and - most troubling of all - of the Nazi Lebensborn program. My involvement with the young woman in question began several years ago, in the late summer of 1974, while I was on leave from the university. I sought to secure for myself a small office in the downtown business district of San Francisco, where I intended to prepare a series of lectures about The Eumenides - The Kindly Ones - the third play in Aeschylus's great trilogy. A limited budget brought me to the edge of a rough, depressed neighborhood. And my first sighting of the prospective office building - eight begrimed gargoyles crouched beneath the parapet, their eyes eaten away by time - nearly caused me to retrace my steps. The overall dark, eerie atmosphere also serves to accentuate the realization that one's identity can be as much a yoke as a release - whether that identity is forged by external circumstances or simply, by blood. (Reviewed by Poornima Apte). The suspense builds slowly but surely in this engrossing tale, while resolution remains hanging in the balance. Recommended for fans of intellectual psychological fiction. Starred Review. 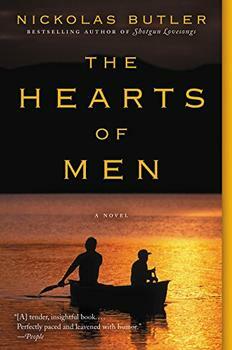 A first-rate literary thriller of compelling psychological and philosophical depth. Starred Review. ...By Blood is a poetic and masterful story that takes some unexpected turns. The prose suggests Poe and Kafka, which heightens the mysterious tone that surrounds both the professor and the client and gives the novel a timeless feel. This book was fascinating? I couldn't put it down. Now someone needs to explain the ending to me. It appears to...just stop. Thinking I missed something, I reread the last few pages. Help!!! Shortly before the Second World War ended and the horrors of the Holocaust slowly came to a close, Jews from all over Europe were housed in "displaced persons" camps. These camps gave refuge to Jews who no longer had a place to call home - not Poland, not Austria, not Germany, and not even the new home state created for them, Israel. One such camp, Bergen-Belsen, was originally established in 1940 as a POW camp, but in April 1943 was converted into a concentration camp by the SS Economic-Administration Main Office. On April 15, 1945, British forces liberated Bergen-Belsen and "British occupation authorities established a displaced persons camp that housed more than 12,000 survivors."